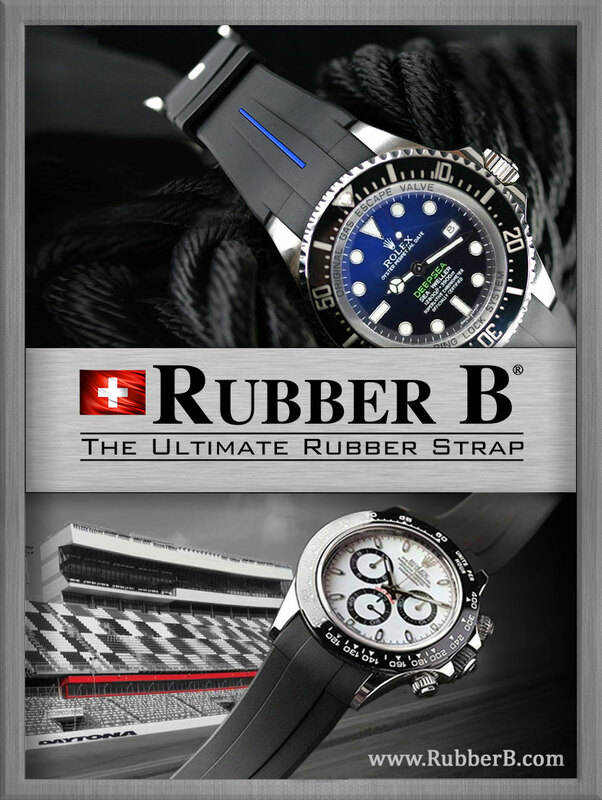 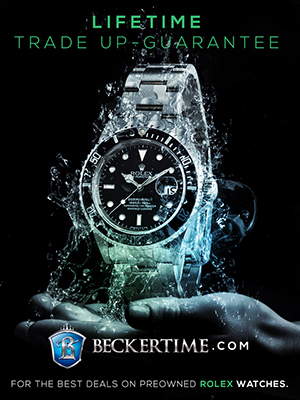 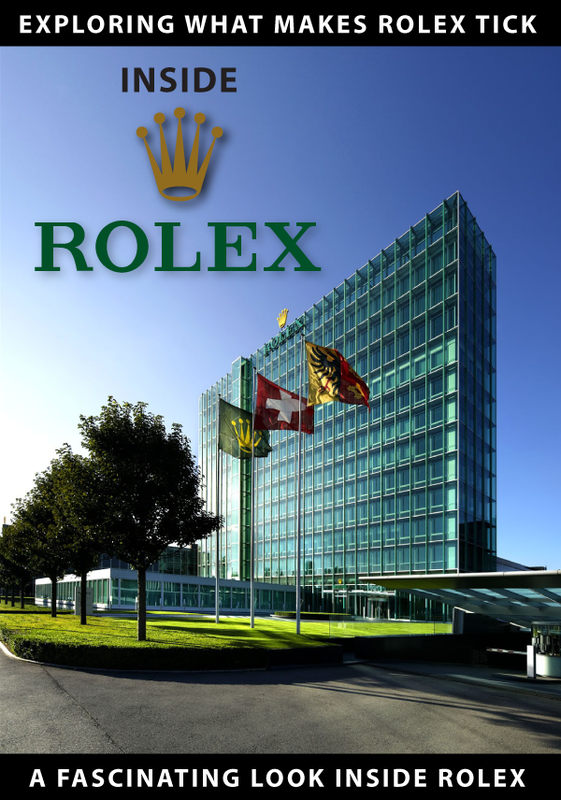 Even thought Rolex watches are the international mark of success, very little is known about Rolex as a company because, from all my research, I would say Rolex is kind of shy. 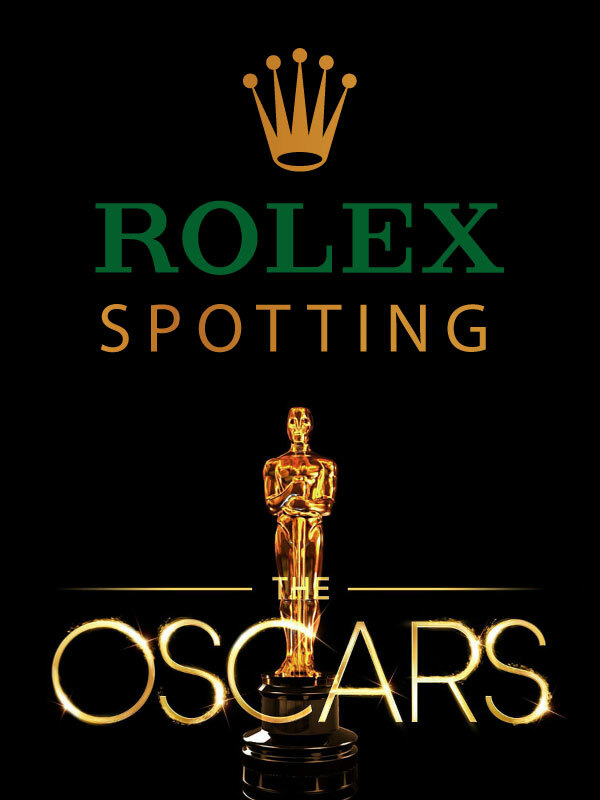 In other words, Rolex is a very low-key company, and many people don't realize that Rolex is a highly philanthropic company. 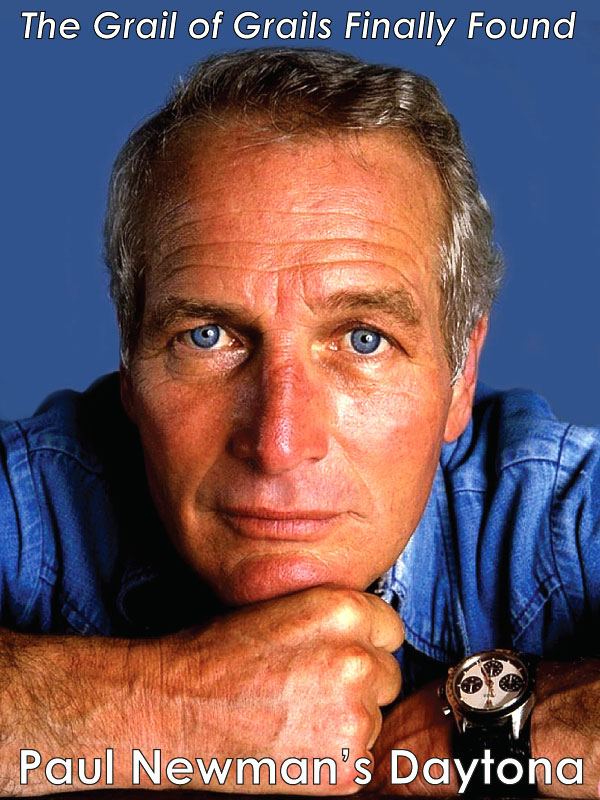 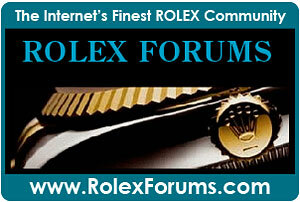 There is an organization named, "The Rolex Institute" that governs Rolex's philanthropic endeavors. 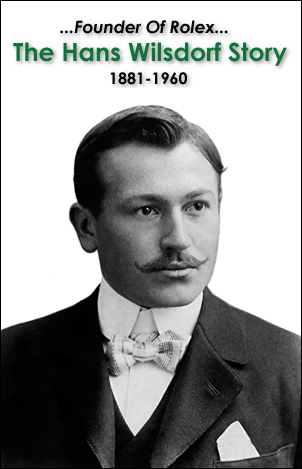 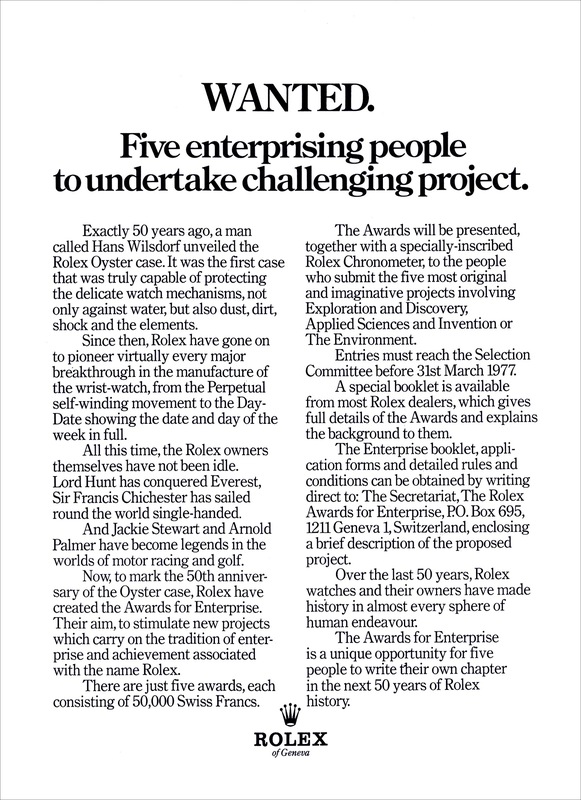 The Rolex Institute consists of two fascinating entities which are "The Rolex Awards For Enterprise", and "The Rolex Mentor & Protégé"
In this article we are going to get in The Rolex Time-Machine and go back to explore the history of The Rolex Awards For Enterprise. 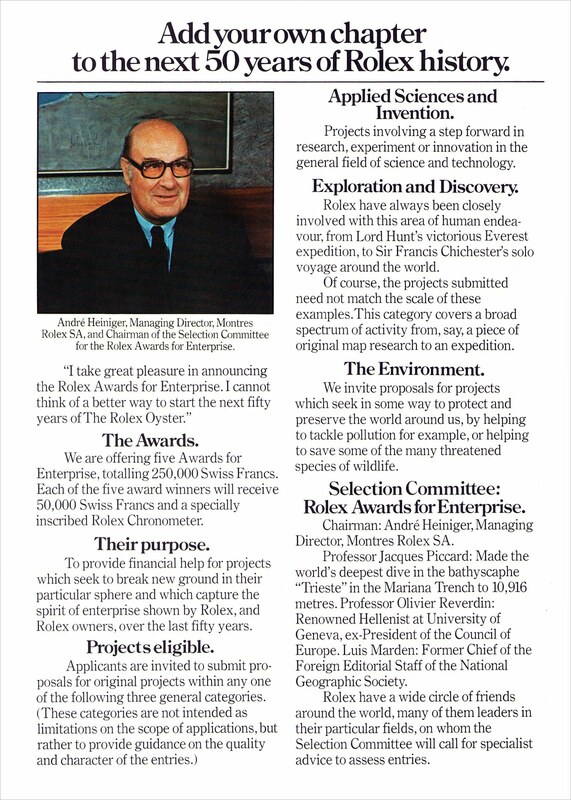 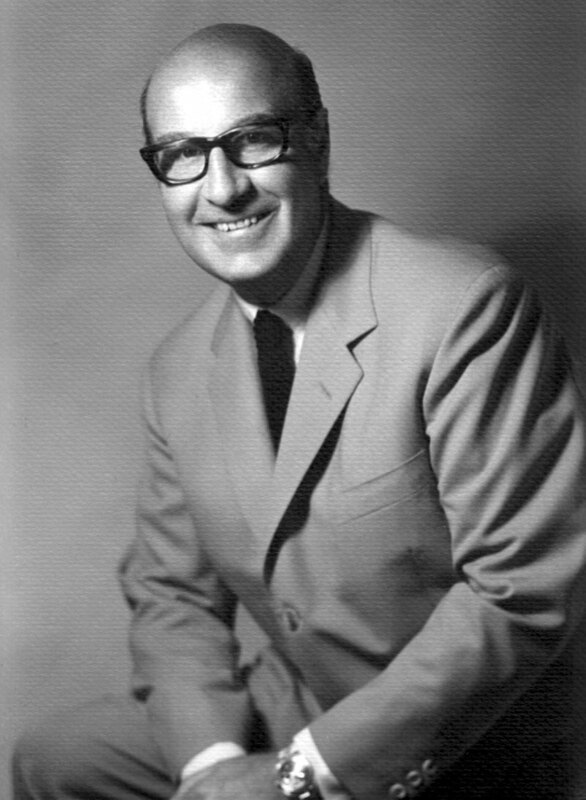 The Rolex Awards For Enterprise just celebrated their 40th Anniversary, and were founded by Rolex CEO, André Heiniger who is pictured below when he became the CEO of Rolex in 1963. 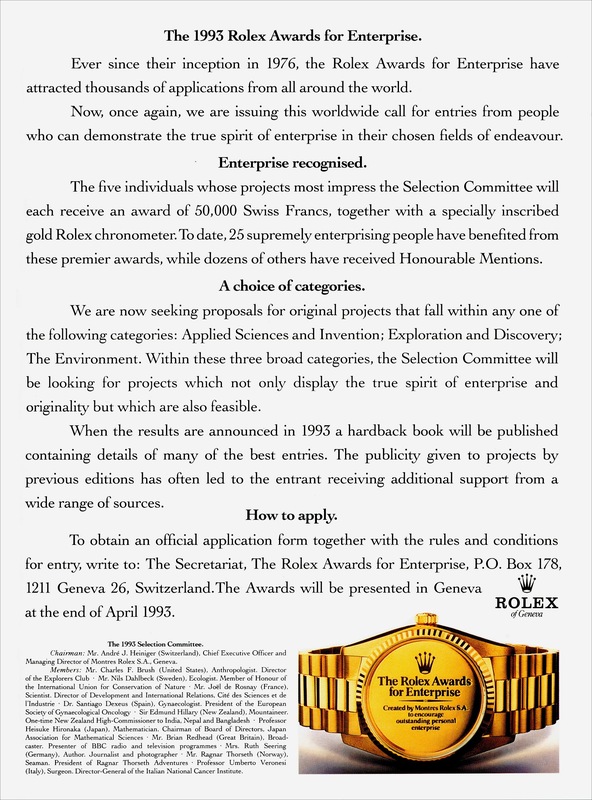 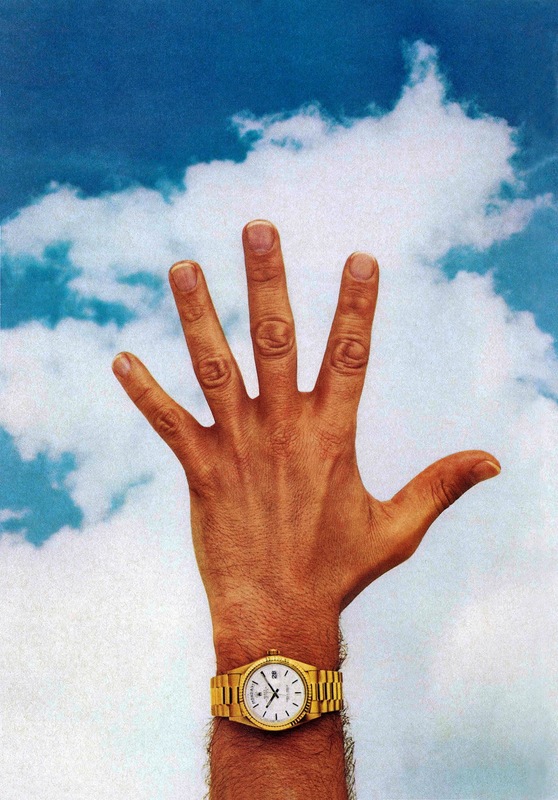 The first Rolex ad below was published in 1976, and give a superb overview of the genesis of The Rolex Awards For Enterprise. 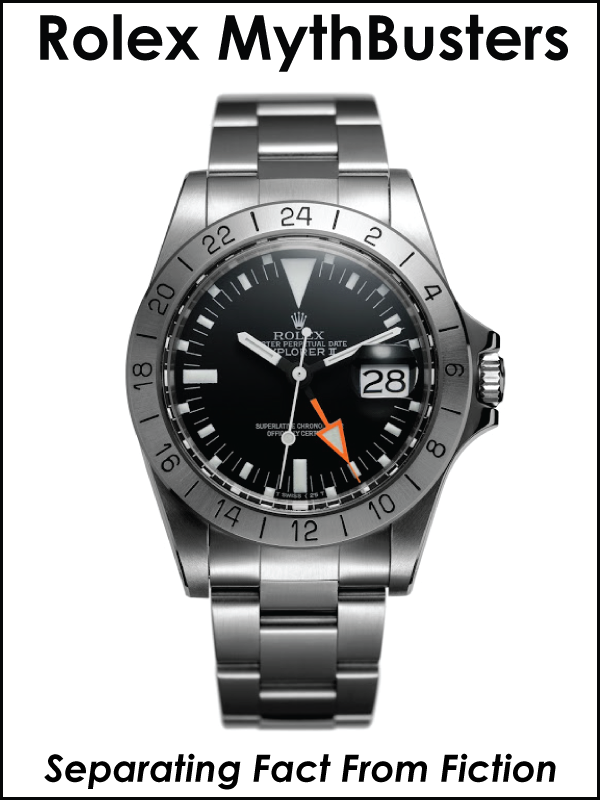 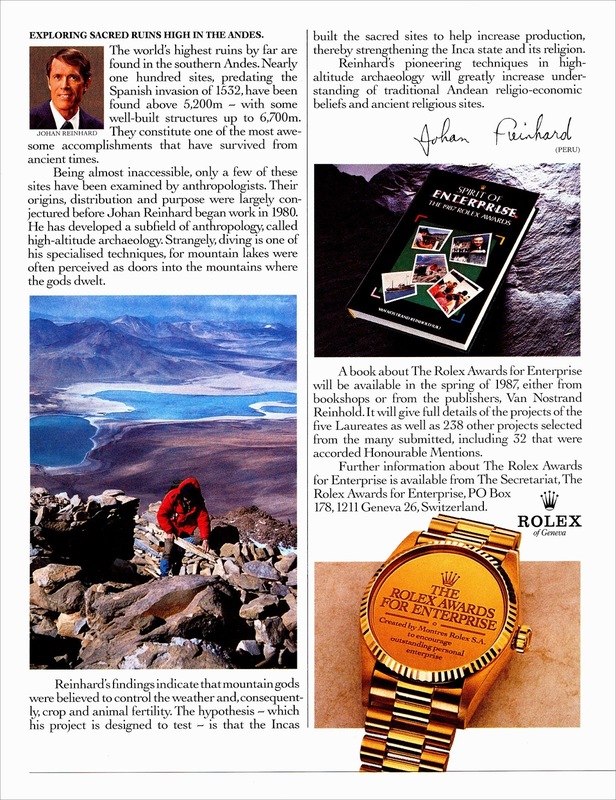 The next two images below were published in 1978 by Rolex in magazines. 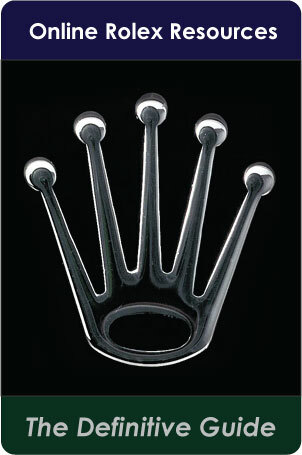 The first image is fascinating because it appears to be a wrist shot of sorts, but if you examine it closer, you might notice the remarkable similarity to the Rolex crown logo. 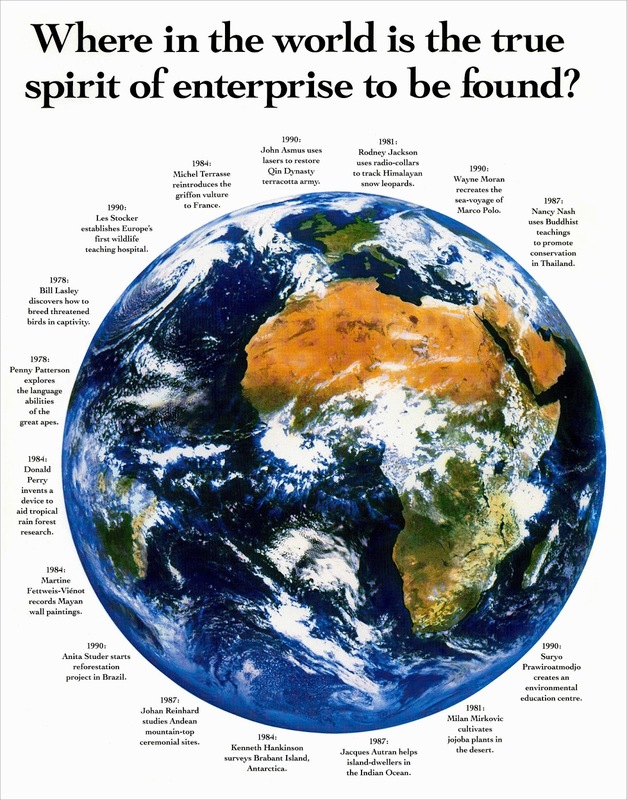 The next two images below were published in 1987 and offer a fascinating perspective. 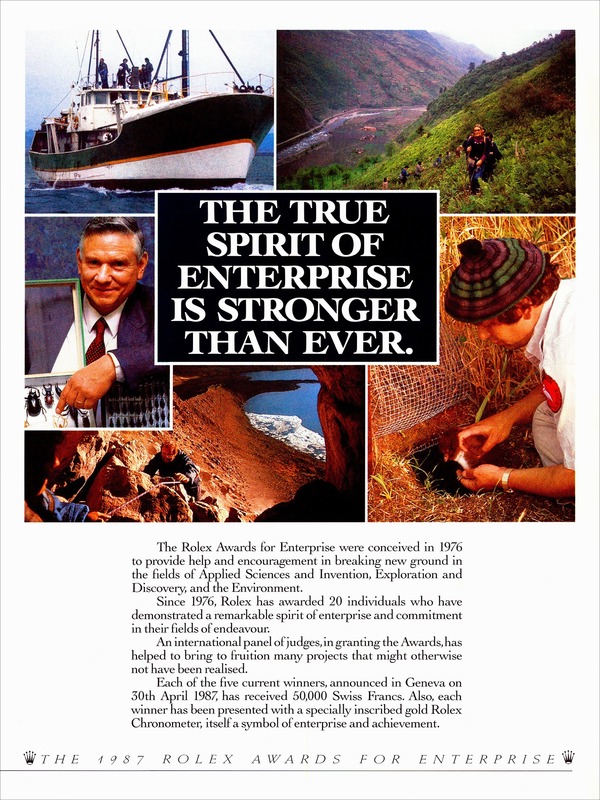 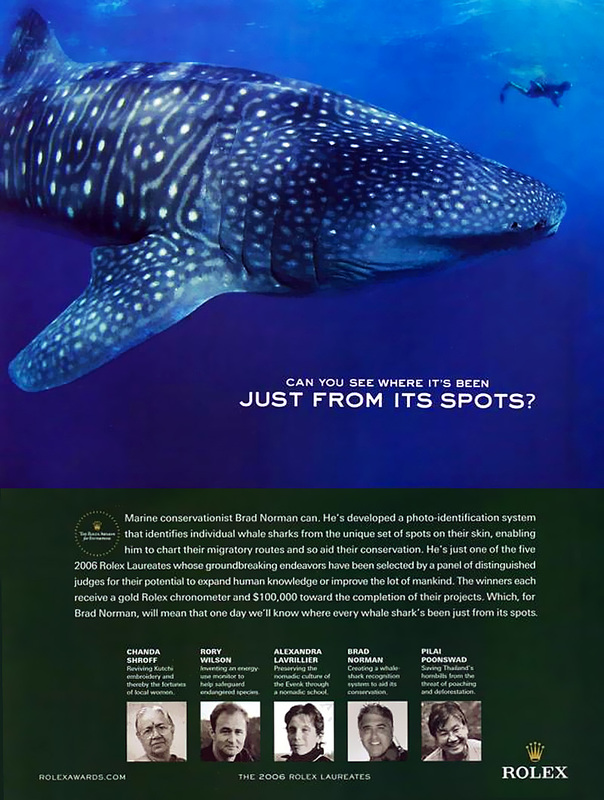 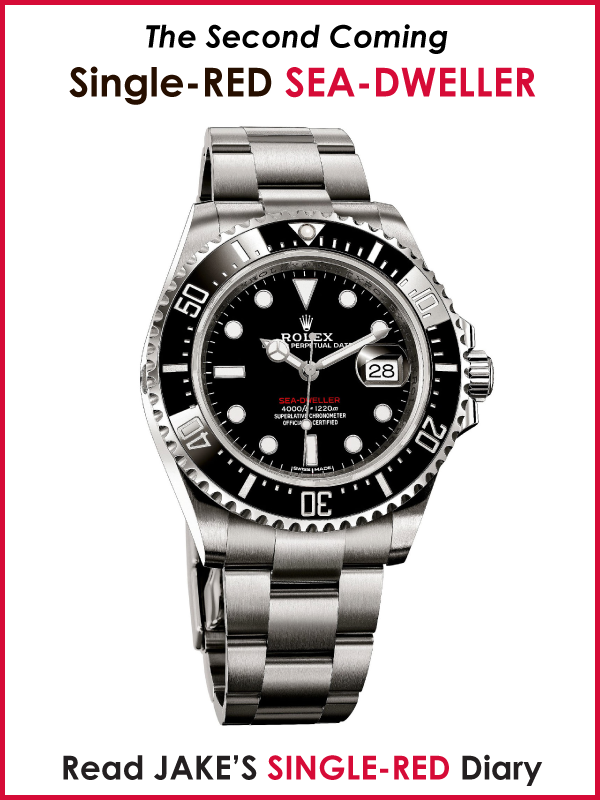 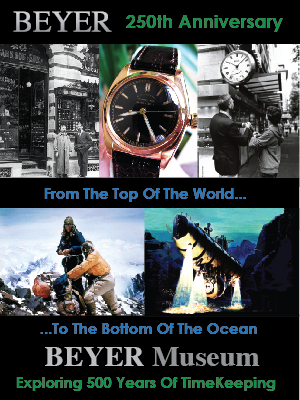 The images below were published in 1993 and go into detail on the overall history of The Rolex Awards For Enterprise.